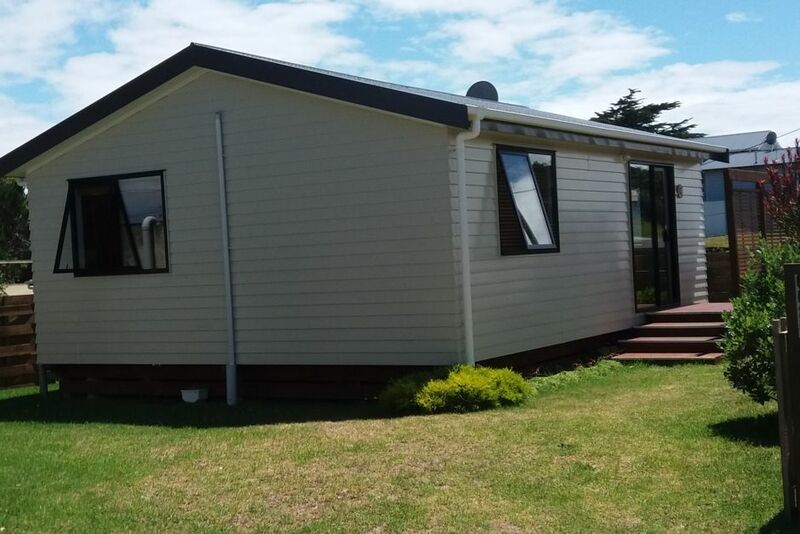 7 year old sunny home, close to Waitarere Beach (400m). Four Square shop (sells everything - including some meals and yummy baking ), cafes, restaurant and bar, tennis courts, children's playground, bowling green, all within walking distance. Several fish and chip shops available, 2 within walking distance. Waitarere Beach is very child friendly, has good swimming with lifeguard patrols all summer thru to Easter. A great place for a relaxing family holiday. FAMILY AND WEEKLY SPECIALS, PLEASE ASK. 3 WHEELED SPORT BUGGY(PUSHCHAIR) ALSO AVAILABLE. SECTION CAN BE ENCLOSED WITH REMOVABLE FENCING. A lovely bach in a great location! Thanks for your kind words, pleased you had a great weekend. Welcome anytime.